Description: Humans and androids crowd the raucous streets of New Beijing. A deadly plague ravages the population. From space, the ruthless lunar people watch, waiting to make their move. No one knows that Earth’s fate hinges on one girl. . . .
"Iko rolled to her side, clasping her metal grippers over her chest. "Prince Kai! Check my fan, I think I'm overheating." "I'm sure I'll feel much more grateful when i find a guy who thinks complex wiring in a girl is a turn-on." "And yet, the memory of his fingers against her skin refused to fade." I enjoyed the audio of this one, surprisingly. 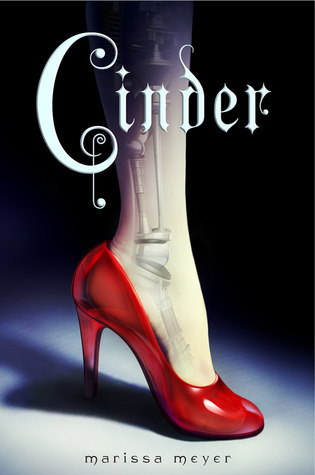 I'm not a huge YA reader but loved this take on Cinderella.